Days went by. Milano and I were trying to pick up where we last left off, the Sunday before his ex wife was murdered. I must be honest, I was still disappointed that Milano doubted me and thought I was capable of betraying him. Although he was apologising for that almost every chance he got, the dent was made. But overall, we were getting back to our closeness. On the 27 September, Milberry took me to Kruger Park for a weekend away, just to make up. We vowed to be open and honest with each other, nor matter what. Let’s say after the weekend, I had completely forgotten about everything bad. Milberry and Booberry finally found their mojo back. Kevin was still nowhere to be found. I was battling to think that perhaps he was involved in Matebello’s murder. I mean he was the last person who had the murder weapon and his disappearance was not helping. Milano and PT were confident that Nyiko was the suspect and that they do not think Kevin is involved. We ( myself, his parents and siblings) were planning to file a missing person report and send Thabiso ( Rethabile's twin, Kevin’s younger brother) overseas to try and look for Kevin. All this was planned for mid October. Oh, Nyiko phoned me days after our meeting telling me how the sale and transfer of shares was done properly and the fact that I have no legal claim against him. I just told him that I had no time to entertain him and anything to do with MAKOOTA. I decided to trap him to ascertain whether he knew about Kevin’s whereabouts or not. I lied to him and said since the Baloyes owned a portion of MAKOOTA, I've decided to give up all my shares to Kevin because I couldn’t stand the Baloyes. I then asked him if he has spoken to Kevin recently and also if he knew when was he coming back home because I was unable to get hold of him and I urgently needed him to sign over the transfer and divorce papers so that I could move on with my life. Nyiko suddenly got excited and said that he was in constant contact with Kevin and also that the last time he spoke to Kevin, less than a week ago, he did mention that we were getting divorced and I was giving up all my shares to him. He further said that if I didn’t mind, he was going overseas in two weeks time and he could take all the documentation with him and let Kevin sign them. I told him to call Kevin first and confirm with him if it’s okay that he ( Nyiko) brings them. I then said he should also ask him to sms me or email me the residential address where he was residing so that my lawyers can prepare the divorce papers. It was clear that Nyiko knew where Kevin was and I had a bad feeling that he was somehow kept against his will. I was wondering how he would have Kevin smsing or emailing me his address and go-ahead. I must say I got him right where I wanted him. Talking money and power, always get Nyiko Baloye excited. As I impatiently wait to see what GD will do to ensure that Kevin contact me . On the 30 September, PT invited us to his place. He also requested me to try and get Reatli to join us. He said some big shot investigator was coming to town to discuss GD's arrest and bust. PT wanted to ask us a few questions about the stuff on the usb and perhaps getting the hard evidence Mrs. GD before meeting with the investigator. I got an idea, I phoned Nyiko and told him that there will be shareholders meeting and that I wanted Reatli to attend. I asked him if I could speak to my business partner Reatli because her number was unavailable. He said he was not home and gave me Reatli’s contact number to speak to her. I then told him that I would rather personally go to the house. He just said whatever works for me. Thank God he was not home. I phoned the number Nyiko gave me. Reatli answered. She was uncomfortable talking to me, I told her that I got the numbers from her husband and that I was driving over to her house to talk about Shareholders meeting. She agreed. I dialed her secret number and told her that I was coming over to talk to her about Gold Digger’s investigation. Since I was on a week's leave, I just got in my car and drove to Centurion. I got to Reatli’s place around midday. Reatli and I sat in the sitting room. I asked her if it was safe to talk in there. She said there was a camera but she could manipulate it to just be dysfunctional. I didn’t want to risk. I asked her to go sit outside at the pool so that we could talk freely. We went there. I told her about my meeting with Nyiko the other day. Matebello’s death, suspicions about GD being responsible. I also told her about my suspicions regarding Kevin’s whereabouts. She also said that she was really worried about her brother but hoped that Thabiso will bring him back home from Stanford, California. Safe and sound. I then told her the reason for my visit. To my shock, Reatli told me that she was no longer interested in this operation bring Nyiko down. I asked her what happened. Reatli: I spoke to my mother a week back. I told her everything about this operation and my intentions to betray Nyiko. She advised me not to get involved in any way. And Bobs, she is right. If Nyiko had gotten away with so much, what makes me think I could bring him down? All I have to do is focus on trying to rebuild my marriage and forget about revenge. Nna: Hau Reatlehile! Just like that? What about innocent people that Nyiko killed? And your conscience? I don’t understand why you would back down now while we are this close to finishing off. Honestly I don’t get it. Did you tell your mother about the twins ? About the Mosito brothers, about MAKOOTA shares? About the Gosiames? The secret room full of evidence that shows what kind of animal Nyiko is? Did you tell her everything! Reatli: Well, no! Not everything. I only told her about the Mosito brothers who approached us and my intentions of giving them what they wanted to get Nyiko arrested and well, the fact that Nyiko was not who we all think he was and that he betrayed me and fathered kids with someone close to me. 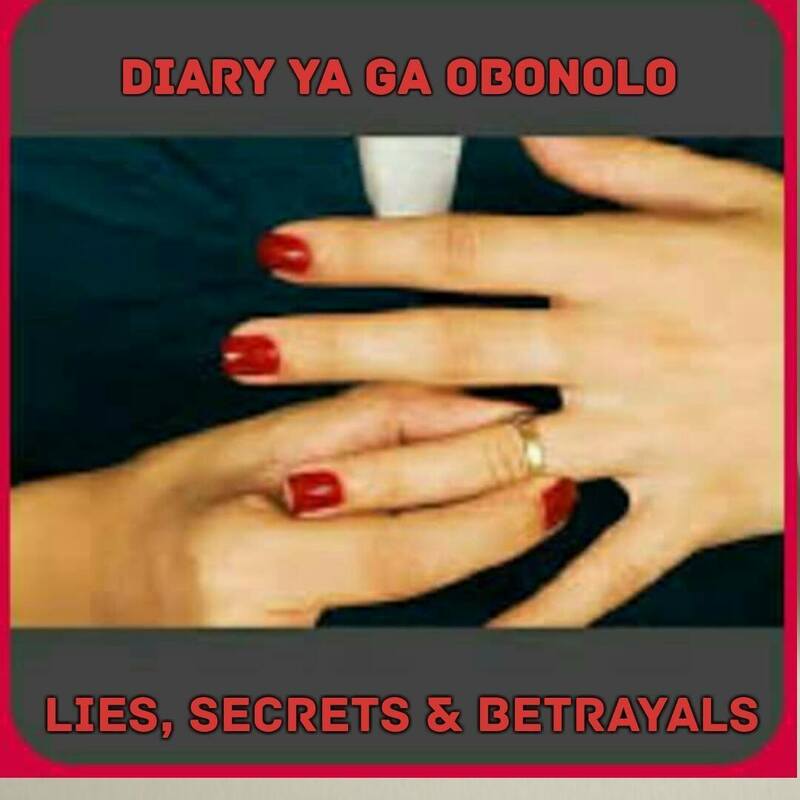 She told me that most marriages go through infidelity and illegitimate kids born within marriages and that my marriage to Nyiko was not immune to that. So I can’t let my anger destroy my family. I thought about it Bobs, what will I gain to have Nyiko arrested for the crimes he committed a long time ago? It’s not like he has hurt me or anyone close to me. And for what it’s worth , you already made him pay for stealing from MAKOOTA.Another thing why must I help the Mositos? Who are they to us? Nna: Wow Reatlehile! You are something else you know? How could you think like that? Just the other day you were so determined to get justice for everyone. Now it’s all about you and your marriage? Have you forgotten about the kind of man he really is? Your mom surely doesn’t know everything about Nyiko and what he has done. I am so sure if you could tell her that Nyiko fathered the same twins’ that everyone thinks that they are Kevin’s, and that he actually framed him for many things, she won’t allow you to still try to salvage what is left of this marriage. I bet she’ll come over here and help you pack and go stay with her. But, I must say I m disappointed in you. Seriously ausi. You are even scaring me. Now tell me? You say I made Nyiko pay for the money he had stolen from MAKOOTA , yet you choose to forget that you guys have 25% shares worth the same amount of money he stole and paid and now still owing Kevin. So, it’s back to zero Reatli, Nyiko has not paid sisi. He has to pay. I understand that you want to back down. Fine, I accept. But, you have to at least let the law take it’s course by cooperating with them. Starting by meeting with PT. Remember we said that we won’t be directly involved. So at least meet with us on Thursday to help where we can. Reatli: No Bobs. I can’t. I won’t sell out my husband and the father of my kids to strangers. The Mositos must find a way to nail Nyiko. My mom is right, a foolish woman destroys her family, but a wise one build it, against all odds. I am sorry Obonolo, I’m not going to cooperate or testify or give away any evidence I have to anyone. Nyiko has been nothing but good to me. Yes, he hurt me so much but that’s just what man does. Tell me about any man you know who hasn’t hurt his family in any way, form or shape? And I will tell you about those who did, but were forgiven by their wives. My grandfather, my father , your father, Kevin, Bill Clinton, Nelson Mandela, my brother in law... the list is endless Bobs. Who am I to judge Nyiko? I stood there looking and listening to Reatli justifying the things that Godzilla had done and how suddenly she was not going to play Messiah and save the world. I tried to show her reason, but it was clear as crystal ball rolling on the dark surface that she has made up her mind. She said she would try to convince Nyiko to pay Kevin his shares money. She further said since I was divorcing Kevin, she decided that she was going to keep the shares to herself and perhaps between Kevin and I, whoever gets to keep the business, could run MAKOOTA together with her. She reminded me of the investment that I created for her and said perhaps she should cash it and pay the amount due to Kevin. In that case, Nyiko would have paid his dues for everything He has done to the family and as for other people, unfortunately she can’t help them. I asked her about telling her family the truth about the twins and she looked me in the eyes and told me that she was thinking about it. She said, since Sheryl and those brats have disappeared and not coming back, she feels it’s not important for that truth to ever come out. And again, her brother has lost his memories, and about to lose his marriage, so whether Kevin knows that he isn’t the father or not, it makes no difference because Sheryl Gosiame was gone for good. Phew! Yaaah I was beyond flabbergasted to say the least. I couldn’t believe that I was hearing all that from Reatli. I must say I felt so stupid to have trusted her. This woman would never change. She was as manipulative, cruel and heartless like her husband. I was just pinching and asking myself why did I fall for her lies? Honestly Reatli was singing a totally different tune to what she’s been making me hear her sing all along. But, I will make her pay. Just then, a brilliant idea came to mind. And I made sure I put it to good use. Just like she saw value in saving her marriage to the devil, I pretended to have a change of heart. I sang along with her. I told her how I understand her position and in as much as I didn’t expect the unexpected revelation, and still felt that Nyiko should pay, I had no choice but accept and respect her decision. I told her that, should she change her mind, she knows where to find me. But for now, perhaps it was best to just forget about everything and move on with our lives. I said seeing how much family meant to her, she inspired me to also want to make things right with my husband and my family and just live a peaceful life. I just painted a Disney movie and showcased it so well..
As expected, the snakezilla bought into my heartfelt happily ever after performance . For a while we spoke about loyalty and not biting the hand that feeds you. She agreed with me and said that was the topic she had with her mother who emphasised that Nyiko must have done all this bad things for her and the kids. I agreed with her and even told her that we should stay far away from the Mosito brothers or anything that could jeopardise our relationship with Nyiko. I even asked her what was she planning to do with the evidence that she took out of the secret room and suggested that she should put all evidence back and be a loyal wife. She agreed and said she will definitely put them back before Nyiko comes back. I asked her when was Nyiko coming back home. She told me that he was in Cape Town and coming back on Thursday. Just then I suddenly stood up and said that I was leaving. She asked me why was I rushing. I said I needed to get home and print an urgent document from Mringo. Knowing very well that there was one PC with printer in Nyiko’s study, the plan was to get to the study and see where the secret evidence keeping room was. She said since Nyiko knew that I was there for business purposes, it was okay that I could use his study to print. I asked her to come with me. The entire plan was to make sure that she shows me the exact location. We got to the study. The first thing I asked her was where was the secret room. She said since the cameras were on, she won’t be able to open and show me. But she will direct me in theory. She went and stood right in front of the bookshelf and explained how to get through to the secret door. I asked her how she manages to get in without being captured. I also asked her how she managed to take out stuff from the room without GD noticing. My sweet stupid naive sister told me everything I needed to know. I just printed out something from an old email and logged out. I took the print-out and told her that I have to go and fetch the kids from school. She then thanked me for understanding and not being angry at her for the decision she made. I said to her ”that’s what family does for one another”. We said our goodbyes and I left. Boy! I was furious and extremely disappointed in Reatli. I don’t care what her mother told her, I will be damned if I let Nyiko get away with murder. All the man he mentioned that they hurt their families and were somehow forgiven haven’t killed people. Yes, sometimes we must support our husbands and family, but letting them get away with something so cruel like murder? That’s pure evil and makes us just the same as them. Hell no! I fetched the kids and went home. Later on I phoned PT and told him that Reatli won’t be joining us. He said we should carry on with our plans to meet and talk about the evidence. Thursday finally arrived. Milano and I drove to PT's house. We got there and I told them about GD's wife backing down and out of the plans. PT thought it was going to be a challenge especially since our lead person was no longer getting involved. I then told them the truth about the usb information having been in my possession for the past two years. I told them that there was many other crimes that Nyiko committed and I had proof of them. I told them my plan and how we can bring GD down. They bought into it. We went through our new plan in details. PT promised to discuss it with the investigator and get back to me. Days went by I still haven’t heard from Kevin. I checked with his family and only then I found out that he phoned and told them that he was okay, and that they shouldn’t worry because he will be home soon. Thabiso cancelled his trip and the Taus were now at ease, except me and the kids. Why didn’t Kevin phone me and tell me that he wasn’t coming back? On Wednesday morning, I received a very cheerful call from Reatli. She was basically telling me how things were at home with Nyiko being a wonderful man. And told me that Nyiko was planning a weekend away for the two of them. I asked where they were going. She said the trip was a surprise, and that Nyiko told her to pack for a weekend trip and not tell anyone that they were going away, apparently they were going to renew their vows and come back to surprise everyone. She said that she was not suppose to say a word, but because of the excitement she had to tell me and asked me not to say anything to her family. I agreed. Before we hung up, I asked her if she managed to put back everything where it meant to be, “ hidden in the secret room”. She told me that she was so preoccupied with other stuff and forgot to put them back. She said Nyiko flew to PE this morning and will be back on Friday to fetch her for their getaway, so she will put the evidence back later. Acting concerned for her, I told her that she must be careful not to ruin her marriage by being negligent. I encouraged her to get to it right away while she still has time, because once they renew their vows, Nyiko might always be around and she might not have time and what if He realise that there was stuff missing in the room? She thanked me for caring and said she will do it as soon as she hung up. Oh how I love it when a plan comes together. The Baloye weekend away was just a cherry on top. Perfect Timing! As for the evidence, I needed them back to the secret room so that when we kick start our plan, we could find them all in one place. More charges for GD's arrest. Few hours later I phoned Reatli. I told her that I hoped she was done with operation put back the stuff. She confirmed that as I was phoning, she was already in the study about to open the secret door and put them back. I got excited. I then said I just had a silly thought after our last chat. I told her that I was planning to take the twins out for a weekend, so I was wondering that since she and hubby were going away, I could babysit the girls. I said she could ask Nyiko if it was okay for me to fetch the girls on Saturday and take them out too. Heeheee, snakezilla, didn’t hesitate. She was excited about my generosity and kindness and said Nyiko won’t mind at all and even said that I shouldn’t have asked. She said she would phone me back as soon as she let Nyiko and Tankiso know about my offer. Less than an hour later Reatli phoned me. I thought she was letting me know that Nyiko okay'ed that I could fetch her kids for Saturday outing. As I answered, I heard her voice was distraught and a bit shaky. Nna: You can’t believe what? Ebe Ntate Baloye ha a batle ka banana ba hae? Reatli: No! I have not even phoned him yet. I wanted to put the evidence back in the secret room. Just as I moved stuff on the bookshelf to open the secret door, an envelope fell on my feet. Nna: Oh okay! What is in the envelope that freaked you out? We got cut off before she could finish her sentence and tell me who was GD’s next victim. The big question was: Who was the victim on the hit list? Obonolo,,,,,,,,,,,, you are the next victim ausi!